Ireland is a land of mystery and magic. You can feel it in the sea spray crashing over the rocks, see it in the sunlight shimmering through the swift-moving clouds, and hear it in the rich, lilting voices of its people. If you have ever traveled to Ireland, you may have felt an unexplainable yearning to slip down to the ocean at night to watch the moonlight sparkle over the surface of the water, or climb up to the edge of a soaring cliff to listen to the roar of the wind. For all the beauty and wonder of that rich green country, there is also a striking sense of comfort and familiarity that makes travelers feel like they’ve come home. I first visited Ireland on a study abroad program ten years ago. One of my favorite things to do at night was find a cozy pub and listen to the locals tell stories. The Irish are notorious storytellers, and they’re known for slipping a touch of magic into their tales. 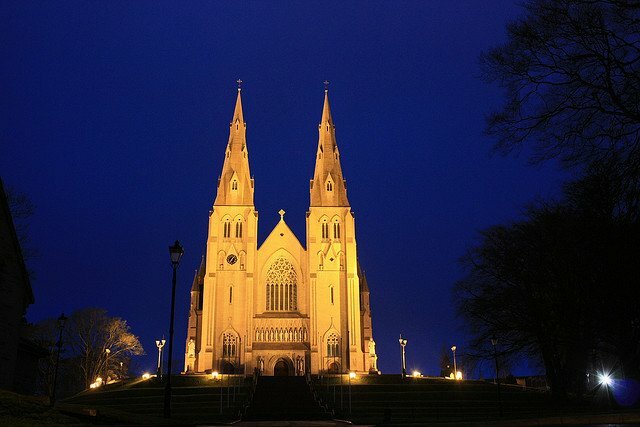 It’s not surprising, since Ireland’s history is steeped in legends and myths. But while most people are familiar with leprechauns—those mischievous wee-folk celebrated on St. Patrick’s Day—there are many lesser-known creatures of Irish folklore. Banshees, changelings, faeries, and merrows all grace the pages of Irish folk and fairy tales. But it is the selkies that most captured my heart. Selkies are sirens who exist as seals in the sea and can shed their skin and transform into women on land. Their captivating beauty and bewitching songs can enchant human men into following them back into the sea. But selkies have one notable vulnerability. If a selkie sheds her seal-skin on land, and a human man captures her pelt, she belongs to him. Without her pelt, she cannot return to the sea. A selkie’s story is always one of finding her home, whether that means returning to the sea, or finding a way to balance her longing for the ocean with her love for her human man. There are a few popular films which feature selkies. The Secret of Roan Inish, is a beautiful movie that I recommend to anyone who wants to learn more about selkies. Colin Farrell starred in a wonderful independent film called Ondine, which came out a few years ago. And there’s a sweet Hallmark movie starring Scott Glenn and Saffron Burrows, called The Seventh Stream. My own Seal Island Trilogy was inspired by the selkie legends of Ireland. The Seal Island Trilogy is a collection of modern-day fairy tale romances set on a magical Irish island where wild roses hold secrets to powerful enchantments. My stories are filled with magic, mystery and romance. They feature strong heroines who are willing to fight for what they believe in and for the people they love. Ireland is a country that teaches us to believe in magic and true love. It is a nation of rugged beauty and kind-hearted people. It is a charmed land where we might catch a glimpse of faery dewdrops in the grass at dawn, or hear the notes of a selkie’s song in the wind at night. It is a place that will always remind us that we are never too old to read fairy tales. 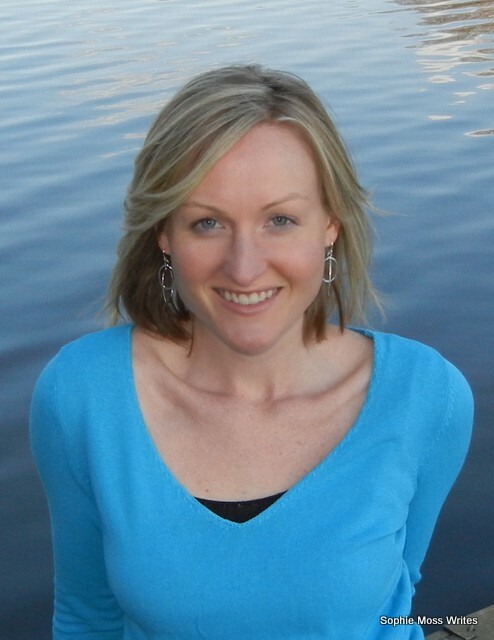 Sophie Moss is the author of the Seal Island Trilogy. She lives in the Mid-Atlantic, US, where she is currently at work on her next novel. When she’s not writing, she’s fiddling in her garden, hunting for four-leaf clovers, or trying to convince a friend to have a Guinness with her at lunch. Find out more about Sophie on her website at Sophie Moss Writes. 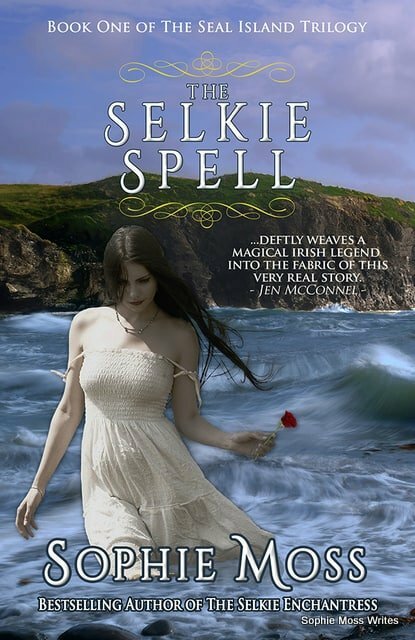 Sophie Moss has graciously offered a signed copy of her first book, The Selkie Spell, as a prize to readers of Irish American Mom. To enter just leave a comment on this blog post by noon on Saturday, April 27th, 2013 at noon. In your comment tell us what legendary, magical or mythical character you most associate with Ireland. The winner will be announced on Saturday April 27th, in a separate blog post. I’ll send the winner an e-mail so that I can get the address for Sophie to mail the book. Best of luck to everyone, and a big thank you to Sohpie Moss for this wonderful guest post and giveaway. I guess the first legendary Irish character that comes to mind is the Pirate Queen. Our family leaves for Ireland on June 1st and I can’t wait to watch my kids as they discover Ireland’s magic for the first time. 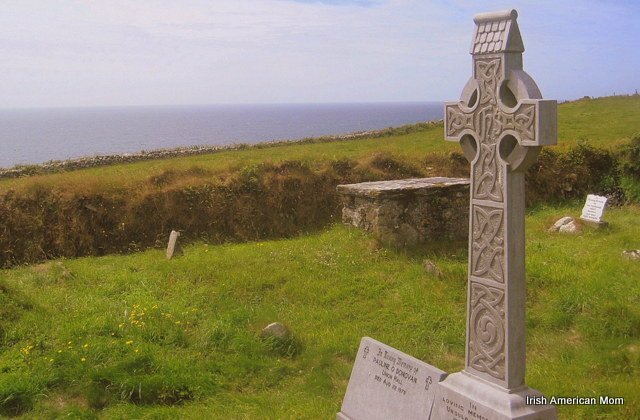 Amy – Granuaile or Grace O’Malley is definitely a real Irish legendary figure. When we were children my great aunt often took us to Howth, to find a pirate’s cove, where she told us the Pirate Queen had buried her treasure. There is a secret beach on the way down to the Bailey lighthouse, accessible only by 199 stone steps carved into the side of the cliff by pirates. Not many people know of the existence of these steps. We spent hours on the beach as children, searching joyfully for her hidden loot. I must see if I can find this secret spot once again, when I visit Ireland over the summer. Shawn – I think I may have a few Brownies running around my house too. Nothing ends up where it belongs. However, the Brownies get lots of help from my four kiddos. I’ve given up on the hope of ever having a tidy house. I’ll get to it when they all leave for college. Maybe the Brownies will head to Magic School around then too. Best wishes and thanks for adding to our discussion and entering the competition. The character I most identify with is the Banshee. On my first trip to Ireland, at age 10, my grandfather had just passed. My cousins ages 10 and 7 at the time asked can you hear the Banshee crying Catherine? By the end of my 3 month visit I had learned from them the fokelore of the Banshee, and swear I could hear her wail. Now at age I tell my granddaughter the stories of the fairies and other mythical creatures of the country my mother was born in, she is to funny asking, Grammy will you tell me the Irish stories? Cat – No Irish person will argue with you about whether or not you heard the Banshee. My husband swears he heard her on the night his grandmother died. It’s so lovely to hear that your granddaughter loves to hear “the Irish stories”. Keep telling them to her, and she in turn will retell them to her grandchildren many years from now. I love that movie too, Maureen. I haven’t seen Ondine with Colin Farrel. I must check it out. Thanks for entering our giveaway. The selkie’s have always been my favorite of all the Irish tales and I love the movie “The secret of Roan Inish”. On days when I feel down and Ireland calls to me I watch this movie and it lifts my spirit. The last time over I saw quite a few seals,were they Selkies? I will let you form your own conclusions on that. Margie – I love seeing seals popping their heads out of the water. Sometimes I think they would love to talk to us. Another Irish movie featuring seals that I love is A Shine of Rainbows, with Aidan Quinn. It’s sad, but simply magical. My favorite would be the Selkies or the Merrows. I have a strange fascination with the water. I feel weird if I’m not near it. During one of my hospital stays, a specialist and I were talking about Ireland, she said she could see me there on a cliff, overlooking the water, singing. And that when I heal I need to get there as soon as I can because she thinks I would find peace. I’m still trying to fulfill that! Christina – I always think of Merrows (the Irish version of mermaids and mermen, for readers who may not know)as gentle, benevolent, shy and kind to people, from the old tales told about them. I hope you do fulfill your dream of visiting Ireland. You even have doctor’s orders instructing you to go. You are destined to feel the Irish sea spray on your face. Keeping my fingers crossed that you will feel well enough to travel and that you will find the means and a way to make it happen. I’m not sure which mythical creature I associate with Ireland the most. Leprechauns of course, but I have my own selkie story in the works and faeries…oh my. I like Faeries a lot. 🙂 And I’d love to go to Ireland someday–it’s my dream vacation! Lilly – Wishing you every success with your selkie story. I do hope you make it to Ireland and that when you make it there, Ireland is everything you ever dreamed it would be. I love the Selkie (and other ) Irish folk tales… And think you have done a fabulous job of making them brand new! Margot – I too love how Sophie has retold these ancient tales with a modern, yet uniquely magical voice. Thanks for entering this little giveaway. A leprechaun was the first magical creature to spring to mind when I think of Ireland. I’ve read the Selkie Spell and just started book two, which I am really enjoying as I think I can relate to Caitlin most of all out of the female characters. Have never been to Ireland but from my reading it is fast becoming one of my dream destinations! Sarah – I hope you make it to Ireland someday. It is a magical place. All these wonderful comments by today’s readers bear witness to the fact Ireland is a land of mists and magical myths. Sorcha – I think my childish mind was just as impressionable as yours. I remember how my grannies, and aunts and uncles used to tell my sisters and me stories of faerie rings, and faerie trees. Whenever we were on a long journey we would pass the time by looking out the car window trying to spot a faerie tree – that lone tree standing in the middle of a field. Your Dad sounds like he knew quite a bit about Ireland’s legends, so maybe he was right when he said he was the King. By all means, the fae folk of ALL kinds, whether they be selkies, the Beann Si, or all of the spirits of the holy ones who have inhabited the Emerald Isle are the ones who have influenced me… when my sister and I visited Ireland, last year, we were soaking up the sun on the shores of an inlet of Galway City and were visited by none other than a wee seal, who climbed up on a rock to do the same as us! Ireland is land of magick of all kinds, and if one doesn’t come away from there with the song of the selkies and whispers of the Beann Si and the musical harps of the Faeries in their souls, then one did NOT visit Ireland…. All the best, and thanks so much for stopping by. Another fine example of the beauty, mystery, and sensuality of Ireland. My heart is gladdened and made whole with the mystery called “Eire”! John – So glad you love the mysterious land of my birth. I think it captures our imaginations, even for generations after we leave her shores. Thanks for stopping by and entering our contest. 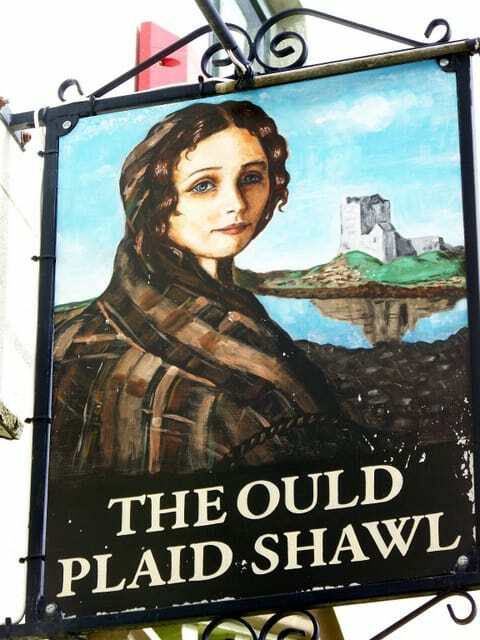 Love the selkie legends, and any story about Grace O’Malley, and Brigid. I’ve read Sophie’s books and they are incredible. As in authentic, magical, fabulous characters and you cannot put them down. Wonderful post! Chris – It’s lovely to hear such fabulous feedback from someone who has read all of Sophie’s books. Thanks so much for your lovely words and for checking out Sophie’s wonderful guest post. I relate most to the Leprechaun. My parents bought chocolate filled coins and hid them on St. Patty’s Day every year because we were McCartans and I did the same for my kids! Susie – Lovely to hear that you are continuing your family’s leprechaun tradition with your little ones. My four kiddos are also intrigued by leprechauns. Around St. Patrick’s Day, they sometimes leave footprints in flour around our house, especially on my kitchen counter tops. Whenever I think of Ireland and magic, I always think of Leprechauns. Lol! But I thought how Sophie used the Selkies and wrote this trilogy was so great! I love these books! 🙂 And I can’t wait for The Selkie Sorceress to come out. Holly – I think leprechauns are so enchanting and exciting for children. What better way to capture a child’s imagination than with stories of little men in hats guarding pots of gold at rainbow’s end. My kids love to hear leprechaun tales. All the best, and good luck in this little contest. Love your answer Heather. Best of luck in the giveaway. Having read both of Sophie’s first two books already, I am beyond excited for The Selkie Sorceress. I’m loving the gorgeous new covers as well. Sophie is so talented! Rachel – The covers are really lovely. Just four more days to wait for The Selkie Sorceress. Sophie really is a talented writer who captures a magical spirit in her writing. Sophie – A big thank you to you too for your wonderful post. Your love of Ireland and her legends shines through your words. I have really enjoyed reading all of these comments today too, and learning about the Irish mythical characters that stand out in readers’ minds. A truly great cast of mythical characters and creatures can be found in Irish folklore, and throughout these comments. 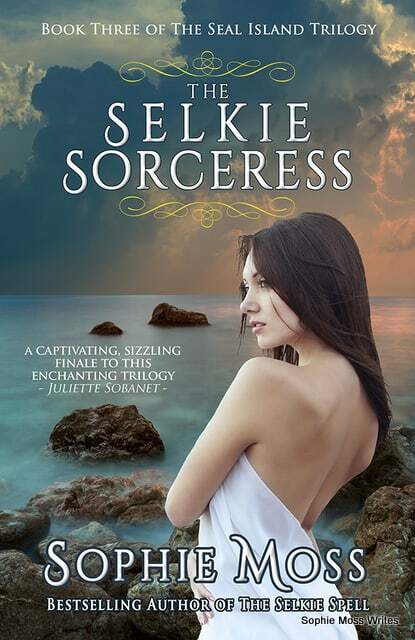 Wishing you every success as you launch your final book in this trilogy, The Selkie Sorceress this week. It is much anticipated by many. Leprechauns are all I know of at the moment. I’m working on tracing my family roots on my Dad’s side and have found that my Great Great Grandparents came over here and met and married. Peggy – I hope you are enjoying the process of tracing your family tree. Glad to know you have discovered some of your great-great-grandparents’ story. Your love of cabbage mixed with mashed potatoes is definitely not quirky to this Irish woman. I think you would love “Bubble and Squeak” a dish made by frying mashed potato and cabbage in a pan. 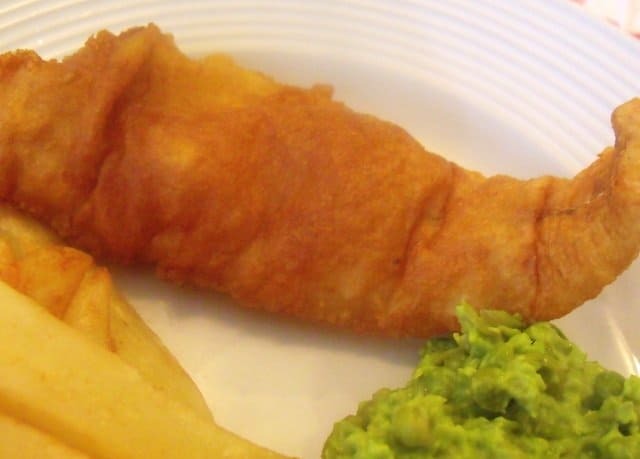 It gets its name from the squeaky noises it makes as it cooks and bubbles in melted butter. I’ll share my recipe for it in the future. Anyway, I am delighted you found my site, and will be happy to introduce you to some of Ireland’s great mythical folktales over the coming weeks and months. All the best and thanks for joining in our conversation. Bubble and Squeak sounds really good; I’ll be looking for your recipe. I’m glad I found your site too and can’t wait to read and absorb any and all Irishness. I’ll get my pan bubbling and squeaking in the next few weeks. I think of Fionn MacCumhaill and the legendary warriors of the Fianna. I loved these stories when I was a little girl. Sheila – My favorite story was Oisín in Tír na nÓg, and how he met the beautiful Niamh Chinn Óir. I read many of the stories of the Fianna as a little girl and also loved Cú Chulainn and the story of how he got his name. My father had saved his school book from the 1930’s with all these stories in it. I used to read that book as a little girl. When I go back to Ireland this summer, I must see if that old book is hidden somewhere amongst my father’s treasures. I don’t know when my Sligo Mother first put me in the water. The sea, lakes, ponds, rivers, streams, even God forbid, chlorinated pools are like the pull of gravity for me. I know only that I must be in the water or near it. My Mother was born in Easkey just a short distance from Rathlea Castle. The rocky shore was her playground. She often sat alone on the rocks along Sligo Bay. “Just looking”, she would say. I can’t imagine how many miles I’ve swum or dives I’ve made hoping to get a glimpse of a Selkie or Merrow. Was she looking for them, too? Like her, the salty water of the North Atlantic runs in my veins. The sounds and smells of the blue green waters of Ireland call my name. A few years ago, my son, daughter-in-law and grandson took me “swimming with the dolphins.” I searched and searched, but once again those mystical creatures eluded me. Or, could it be that they exist only in the wild North Atlantic in that magical Other World, Tír na nÓg? Go raibh maith agat for keeping these legends alive. I now live in Kentucky and I can’t tell you how much I miss the sea. I grew up in Dublin and at the end of our street we had a great view across Dublin Bay. I loved seeing ships sailing in from England. There is something so relaxing about ocean winds, waves and sea spray. And then there is the magic of looking for seals, selkies and merrows. Thanks so much for entering this contest and for telling us about your love of the wild waters of the North Atlantic. I don’t have a clever comment to make here, as I know very little about the legendary, magical and mythical characters of Ireland, but I am looking forward to reading your first two books in the Seal Island Trilogy! 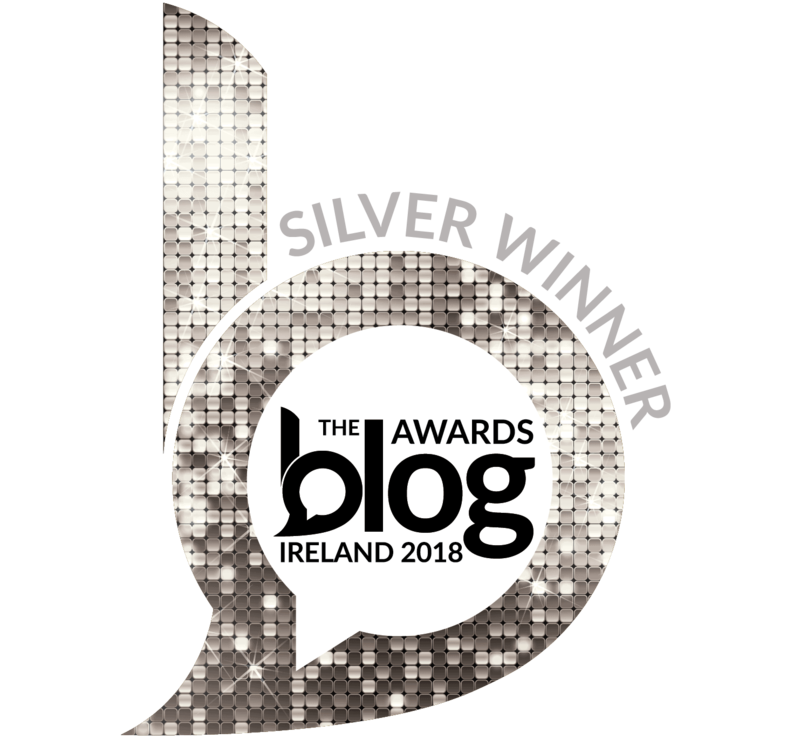 Marianne – I think exploring the mythical characters of Ireland is a great idea for a blog post series on this website. I’ll add it to my “to do” list. Ireland’s mystical creatures and legendary heroes are really fascinating. I hope you enjoy Sophie’s books where you will learn all about the powers and challenges of the selkies. Well I know leprechauns and fairies. I’ve heard about banshees, but don’t know much about them. And I watched The Secret of Roan Inish once, good movie. Mariana – Leprechauns, fairies and banshees are probably the most famous of all the Irish magical creatures. There are many, many more. I think I’ll have to start introducing these fabulous characters of ancient Ireland right here on my blog. I hope I don’t have my mythology wrong, but I love the Pooka. I have a soft spot for horses, even if it’s a black, ugly one. Guess that Pooka would have fooled me … alas, I live in Germany. Hannah – The Pooka or Púca in Gaelic is a very Irish mythological creature. I heard of the púca many times when I was growing up. The could bring both good and bad fortune, and were mainly heard of in rural Ireland and seafaring communities. These magical creatures could change form and could take on the appearance of black horses, goats and rabbits. I think black horses always have a magical quality for me ever since. Thanks for joining in our discussion about Ireland’s other worldly beings. If I could choose to be an Irish mythological creature I would choose to be a merrow. I love the sea and could image myself as a mermaid type creature capturing the heart of a handsome human male and luring him to join me under the sea. If I choose I can live among the humans on land, but I know the call of the sea would would make me want to return to my home beneath the waves. I would never be lonely for I could always lure another handsome human male anytime I like! Linda – Merrows are fascinating mythological creatures. I think there is an old Scottish legend about a giant merrow who was cast onto the island of Alba. She was nearly 200 feet long and had flowing long hair. I can’t remember the rest of the tale, but I must check it out again someday. Thanks for joining in our contest and for your wonderful comment. Hi Mairéad, am just catching up with your recent posts. In addition to these, I also recently came to hear of Hy-Brasil and was fascinated! It seems to add a whole other dimension to Irish history and lore. Can only imagine what stories you heard of it. Kind regards. Michele – I never heard of Hy-Brasil before, so I checked it out online. Fascinating stuff. I have heard that the lost city of Atlantis might be somewhere off the Irish coast, but had never heard of this one. Thanks for the information. I’ll have to read some more about it. All the best, and thanks for checking out my recent posts. Pat – You are lucky to live on the west coast of Ireland. My mother is from Skibbereen, in West Cork, and I always loved it there. Watching sunsets over the vast expanse of Atlantic waters is one of my favorite things to do. Well that’s a tough one to answer. My grandmother (a Flaherty) told me of magical powers of Ireland and during my life I’ve found it to be true. Who wouldn’t love magic along with sensing the spirits, while hearing them as you hike the old hills and ruins of Ireland? It’s a transporting experience. Because of the family connection I’ve enjoyed researching Grace O’Malley and her first husband Donal O’Flaherty. Wonderful stories of strong women and supportive men. And then there’s the Pagan Goddess Brigid, daughter of the Dagda. I love the dichotomy of the two sides of her face, and her talents of healing, use of the arts and crafts, and storytelling. She’s fascinating. My grandmother was a tall, dark haired, beautiful Irish woman of gentleness and warm heart. 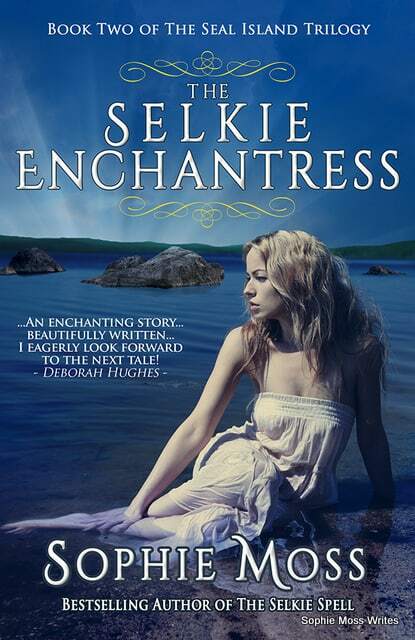 I’ve often wondered about a Selkie influence… It is very kind of Sophie to donate a book to one of your readers. Thank her for all of us. Genie – It sounds like your grandmother did a wonderful job sharing Ireland’s folklore with you, passing on her love of all things Irish. Thanks for highlighting Grace O’Malley and Brigid, two strong female characters from Irish history. Sophie truly is generous to sponsor this giveaway, and thank you for supporting it by entering and adding your wonderful comment. I am half Irish and half Norwegian. My grandparents were Fitzpatricks and Fitzgeralds – I cherish my Irish roots. Leprechauns have always fascinated me. I am new to your blog and look forward to getting to know you more. Betty – It is lovely to hear how you cherish our Irish roots. I hope you enjoy my ramblings and my take on all things Irish and Irish American. So glad you found my little corner of the world wide web. I most identify with Tuatha Dé Danann. Trish – The Tuatha Dé Danann truly are mysterious and mystical. I remember the story of how the Firbolgs beat the Tuatha Dé Danann at Glenanaar in north Co. Cork. Ancient Irish history is fascinating. I have to say I enjoyed the series i just recently bought the last two books when the last book came out. The first one just captivated me into its story so i just had to finish the series. Joshua – So glad to hear you enjoyed this series. Thanks for entering. Wendy – I think the Banshees have been busy over the past few years, because many of my favorite Irish authors have passed away. 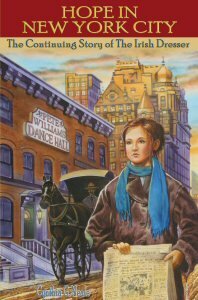 Anne McCaffrey passed away in 2011. Maeve Binchy just last year. Frank McCourt, Nuala O’Faolain, and John O’Donoghue are others who left us in recent years. I will miss all of their wonderful words, and treasure their published works. Wishing you every success with your writing. Your works sound fascinating. I too write children’s books and love folklore tales. Best wishes and thanks for your wonderful comments. Wow time goes quickly. I did not realize it had been a year. I look at all her books with such fondness. They got me though so many lonely times with all our moves. Wendy – My books are not yet published. I keep writing and rewriting and belong to a wonderful critique group. Keeping my fingers crossed that I can one day get my stories published. I did forget. While living in Iceland I had a Raven Friend. The raven would sit and chat with me every day outside my kitchen window. The Icelanders told me this was a good omen. We needed to find a new flat quickly. So i asked the Raven if it knew of a place we could rent down by the harbor. Sure enough when I went out I saw my black pal. He took off towards the harbor I followed. He led right to a beautiful place right across from my son’s school and two blocks from the harbor. So I am no longer afraid of Ravens they do know all the gossip and want to tell you about it if we want to listen. I chat with them here in the states. They like my tall pine trees. Dear Wendy – This is such a lovely story about your friendly Icelandic Raven. Thanks so much for sharing it with us. Thanks to everyone for entering this giveaway. The randomly chosen winner of this wonderful book is Susie Lindau. Hope you all have a lovely weekend.